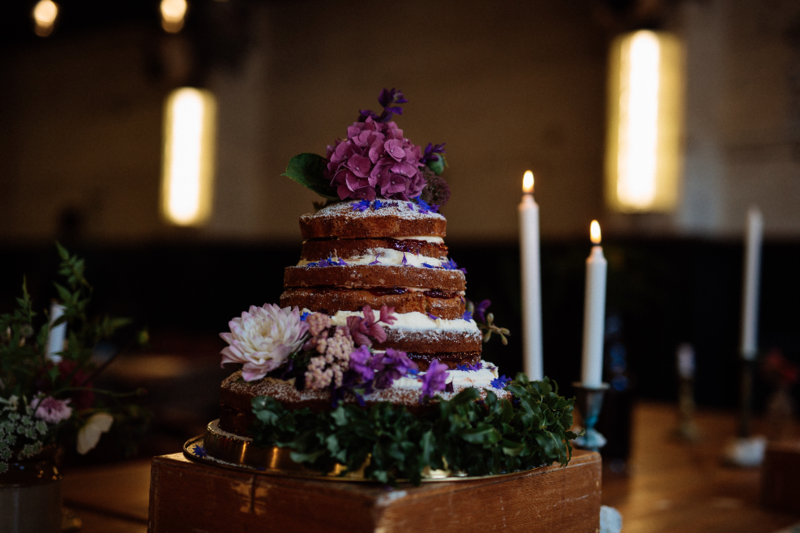 Last Sunday was a triumph of beautiful British florals, magnificent cakes, seasonality and overall great vibes! We opened our doors to a wonderful guest list of like minded folk to showcase The Mowbray in all its wedding finery. 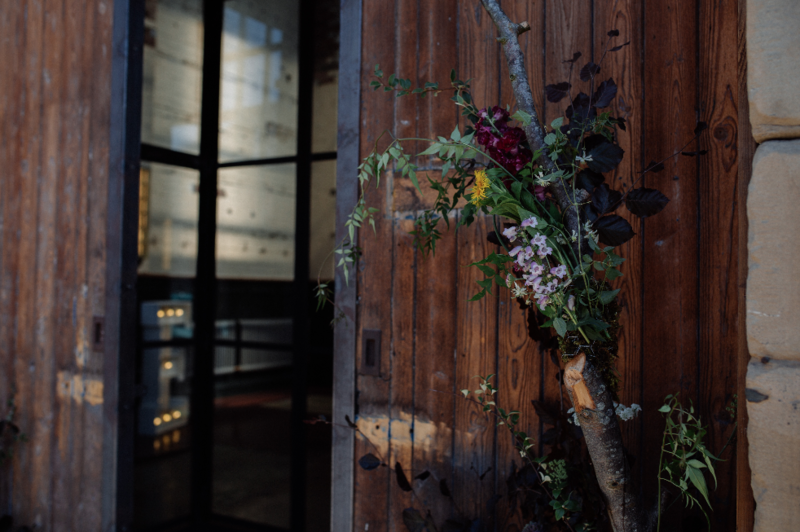 Marianne Slater, the green fingered goddess behind Frances + Rose and House Florist to The Mowbray gave us a little insight into her designs and concepts behind our LOVE launch. 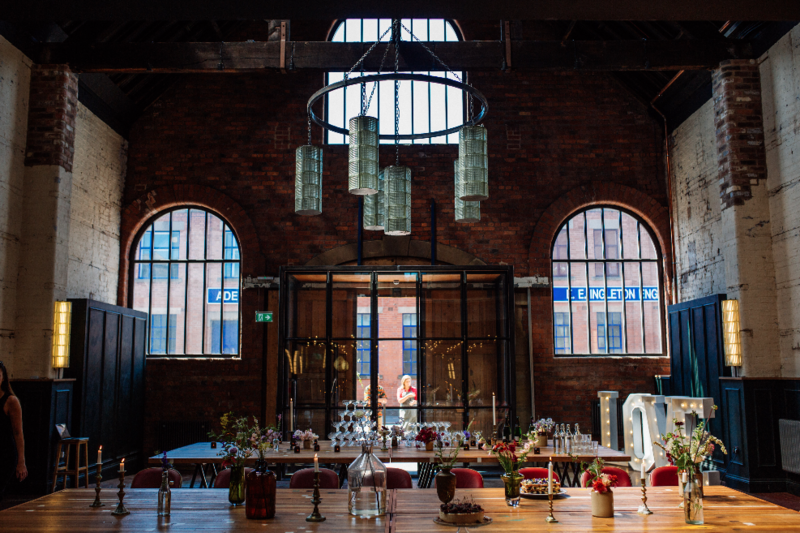 LOVE was an opportunity for us to showcase our beautiful venue, your magnificent florals and present The Mowbray Kitchen to a great bunch of like minded people. How did you interpret The LOVE concept? I think all too often ‘Love’ as a theme is given the colours pink or red, blush or white, pretty much anything pastel, well that’s not what I think of. I think of love in terms of my relationship with my flowers, my plot and my work. We nurture all these seeds, bulbs and plants all year round, we cut and condition each stem and the result is this seasonal bounty, the product of our love throughout the months. To me that’s what I created, I brought my plot and my love of flowers along to the Mowbray and we arranged them to celebrate the venue, the couples and the seasons. 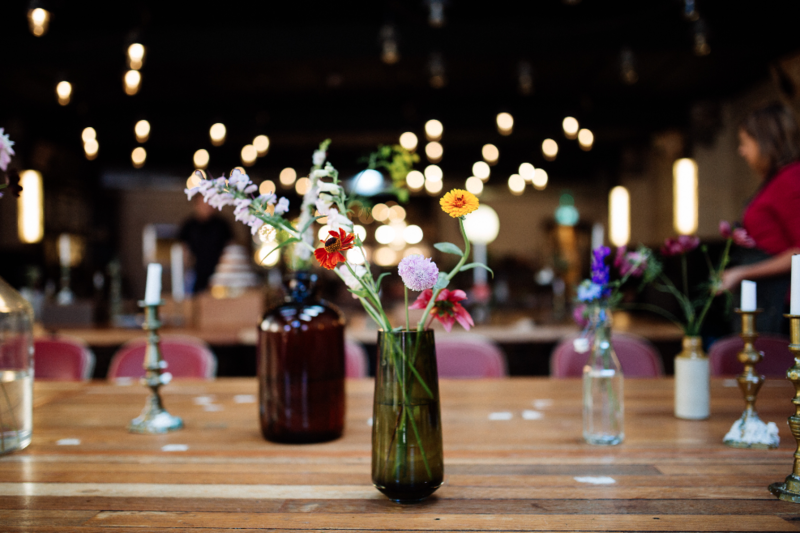 We specialise in beautifully styled and curated events, from floral displays to bespoke menus with the finest attention to detail. The LOVE launch was a great opportunity for you and Emma to join forces in creating an edible display of beauty! How did your ideas come together on this? Emma’s cakes and puddings were just so amazing and I love being let loose on a cake! 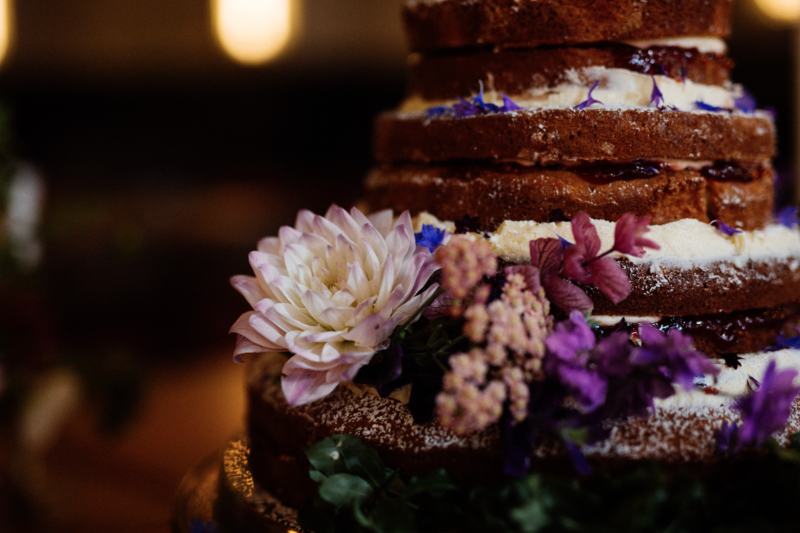 We used edible petals and herbs to dress puddings and cakes and I used a selection of fresh flowers in pinks, purples and greens to dress the wedding cake. The petals that really caught my eye at LOVE were the chocolate scented velvetine stems, they were my favourite. There must be so much beauty and detail in flowers you work with, tells us a little a about your favourites from the plot. The chocolate scented velvetine ones - Yep, these were my favourite too, they are actually part of the dahlia family rather than the cosmos family as they come from tuber rather than seed. The other dahlias featured were some of my favourites too, namely ‘Labyrinth’ which looks like the large frilly petals have been water colored or are made of shot silk! I also love the achilia, it comes in the most beautiful colours of candy and as it was something I have also planted in the roof space I wanted to bring it down stairs and show it off! 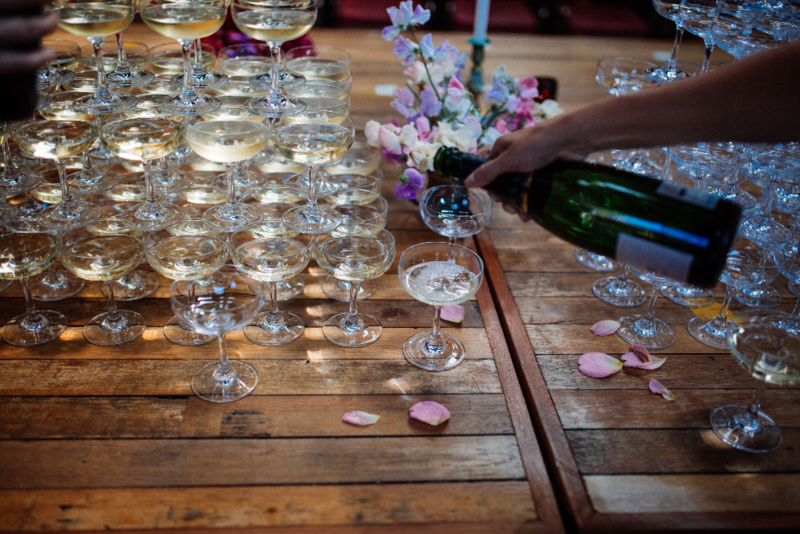 We also have a glut of sweet peas at the moment, which were beautifully displayed around the amazing champagne saucers, they are so beautifully scented and just make me smile so much. LOVE was our take on the English Country Garden Party, you managed to bring the feeling, effortlessly from your plot to The Mowbray. Could you give us a rundown of your favourites for anyone starting their own cut flower garden? Achilia, Chocolate Cosmos, Rudolphus, Dahlias, Roses, Sweet Peas, Rudbeckia, Antirrhinum, Verbena, Cornflowers, Hydrangeas, Jasmine, Ammi, Cosmos, Scabious, Penstimon, Marigolds, Clarey Sage, Delphiniums, Budlia and Eryngium... they're all my fave really! How did the architecture of the building influence your design? I felt so excited to create an installation piece to go with the space the team have worked so hard to create but I didn’t want to take anything away from the amazing attention to detail by covering it up. I had the idea to highlight the incredible doorway, it's such a stunning entrance and I wanted the guests to be drawn in and to bring their attention to the structure they were stepping into. I love the number over the door, it evokes history and reminds you of the past of the area, but also for me, my childhood home has ‘1889’ chiselled into the brickwork so it’s a lovely reminder of home. 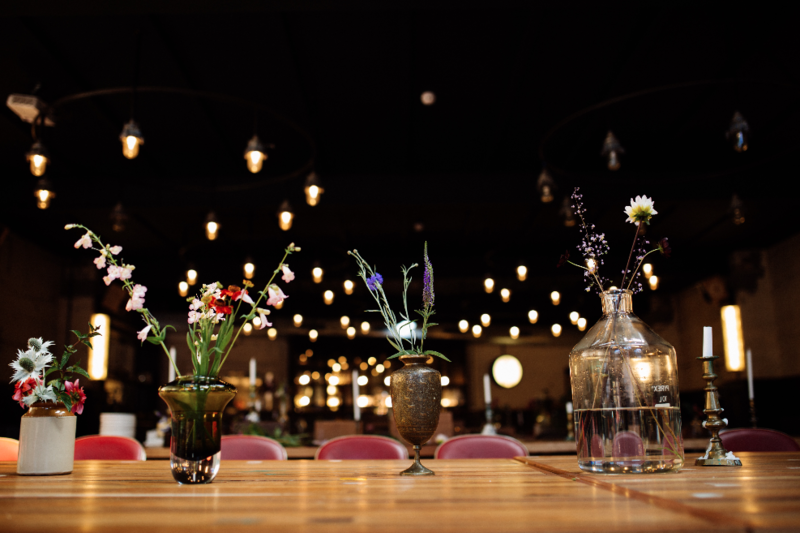 How did the native botanicals and local wildlife of Neepsend influence your concept? 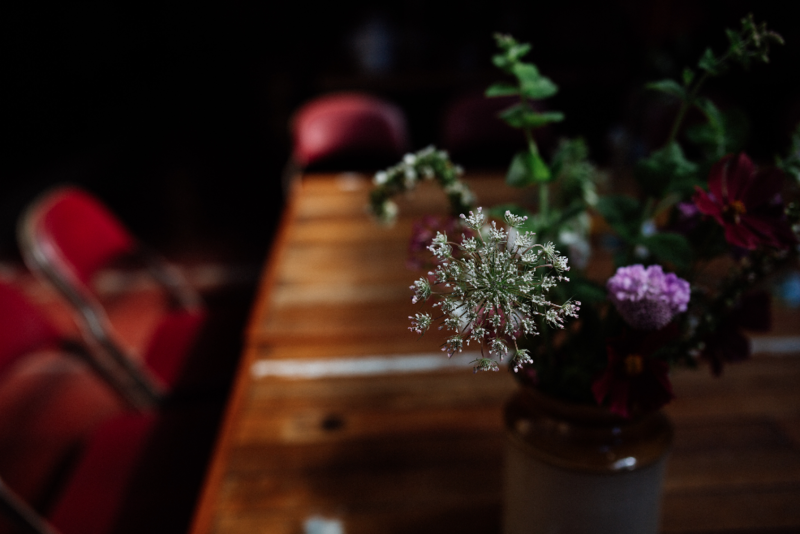 From day one, we always talked a lot about the flora and fauna of Neepsend itself and it was a nice touch to create something that looked like it was growing out of the pavement and connecting the nature of the local area, the rooftop space and the building itself. My initial idea had been to place it against the stone framework either side of the door but when I got there and really saw the raw beauty of the door I just had to work in front of it, the colour of the wood worked so nicely with the copper beech leaves I used and brought out the pops of yellow and orange that I added. I love that door!